Well at least the wet weather held off until this afternoon/evening! Hopefully you were able to get outside earlier today and enjoy some peeks of sunshine and our temps in the upper 70s to near 80. Not bad at all for a Sunday. 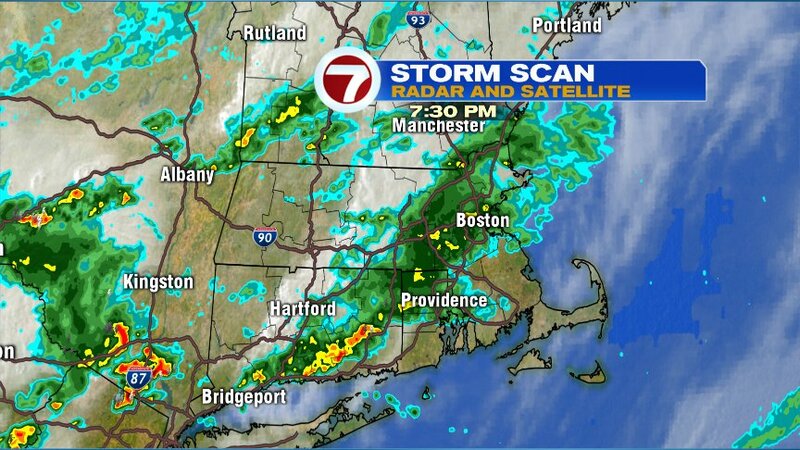 Throughout this evening, I’ve been tracking showers and storms working through the Bay State, tracking from west to east. The first round brought decent rain to many of us, somewhere between 0.20″-0.50″ – and we’re not done yet. We’ll get in on another round around midnight tonight. Maybe an isolated rumble of thunder, but that’s looking less likely as we lose our heat from today. 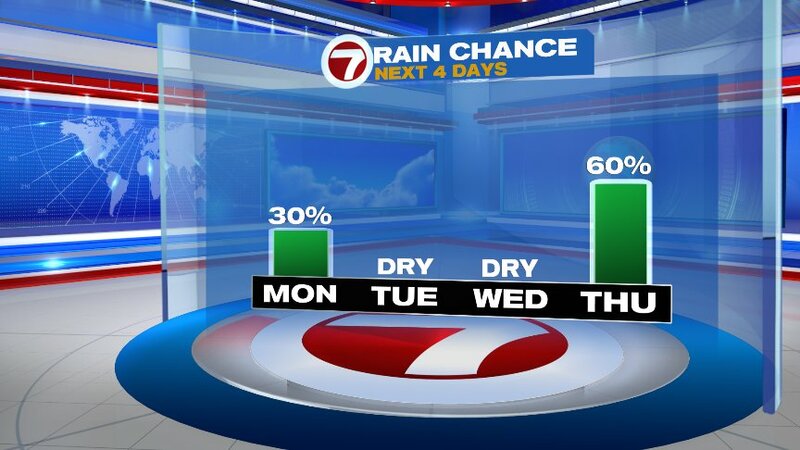 Still a slight chance of spotty showers tomorrow around midday into the afternoon. 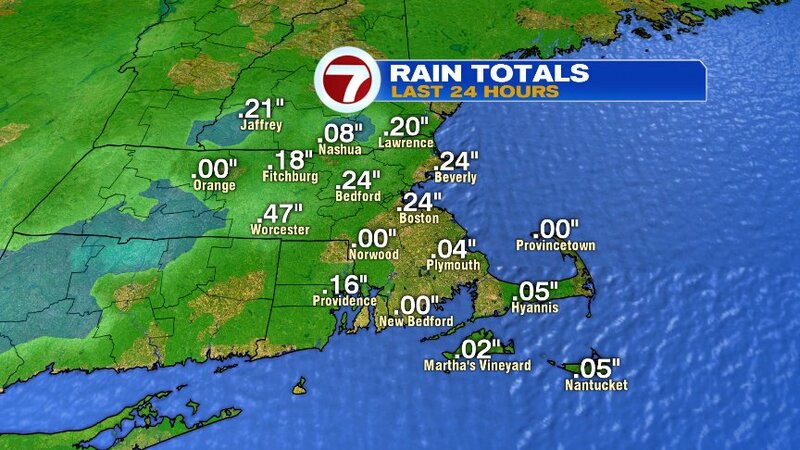 Not all of us see this, and it is more likely for E. Massachusetts (think east of the 495 corridor). This will likely not be the beneficial rain we need, but it looks like we could do a little better on that front getting into Thursday.